Abbey Electrical Services covers all aspects of electrical works including installations, maintenance and repairs. Call us for a free quote. 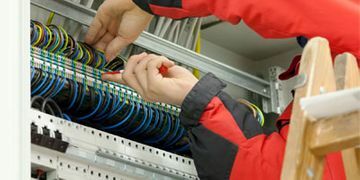 Abbey Electrical Services provides a comprehensive range of electrical services including installations, maintenance and repair works to our customers based throughout Kildare and the surrounding areas. We work with domestic, commercial and industrial customers undertaking projects of all sizes and specifications. Abbey Electrical Services are fully registered and compliant. We have received certification from Safe Electric and the Register of Electrical Contractors of Ireland (RECI). We specialise in providing electrical services to the industrial sector, working with a range of chemical plants, factories, etc. We are fully registered and insured and always adhere to strict health and safety guidelines. Visit our Industrial Electrical Services page to learn more. 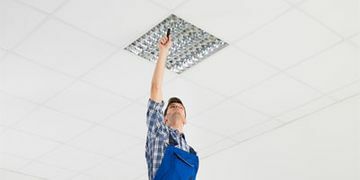 We provide a comprehensive range of electrical services to domestic customers including house rewiring, fuse board upgrades and more. 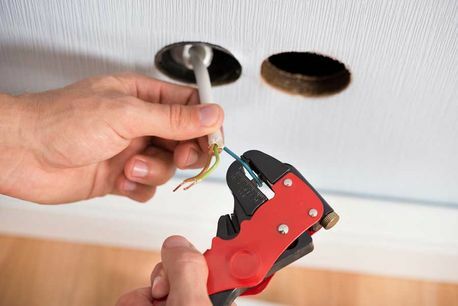 Visit our Domestic Electrical Services page to learn more. A PAT test ensures all of your mobile electrical applications are fit for use and is required on an annual basis. We can carry out PAT tests in a fast and efficient manner, highlighting any issues we may come across and providing appropriate solutions. Visit our PAT Testing page to learn more.